Infertility causes a lot of heartbreak , sorrow and unhappiness. This is what one of my patients had to say about being infertile.
" I hate the fact that I can't have a baby to cradle in my arms. This loss is like a death – the death of my dreams and hopes. I grieve over this void , which will always leave a sense of emptiness in my life . But I know I can deal with this heartbreak . I have dealt with disappointments in life before, and I can find the strength and emotional resilience to go through with this. I hate having to see my mom grieve over the fact that she can't have a grandchild . I feel inadequate that I haven't been able to give her what she so deeply desires. I can deal with this, because I know I have given her lots of joy as well. I know that she loves me, and she just wants to see happy . Her unhappiness is a result of my unhappiness , and it’s very comforting to know she is always ready to be a bedrock of strength and support when I need her. She cares for me , and she is my strength . 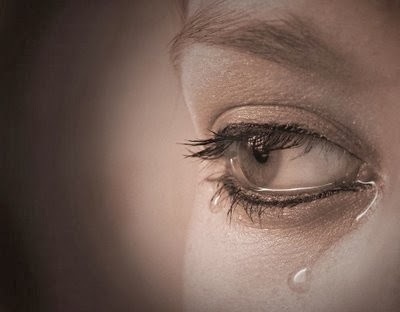 I hate seeing my husband sorrow , because he doesn't have a child to play with – someone whom he can toss high in the air – or teach how to play cricket or tennis. This breaks my heart , especially when I see him looking wistfully at other dads playing with their kids – and when I see how much his nephews and nieces love him, because he is so patient with them. I can deal with this heartbreak as well, because I know he loves me , and he didn't marry me just for the sake of my uterus. He married me because we love each other. We complement each other, and our marriage is stable. I know this painful infertility journey has exacted a toll, but it has also helped to make our marriage even stronger . adopt ? or Why don’t you do IVF ? They do not realize how difficult , taxing, emotionally draining and expensive infertility treatment can be – and that the results are always uncertain. I can forgive them as well , because I remember Jesus’s last words on the cross – Lord, forgive them for they know not what they do. The thing I find hardest to bear,– and what I hate the most , is the pity I see in other people’s eyes when they say – Poor thing – She doesn’t have any children. This is the last straw , because I am far more than just a woman who is unable to have a child ! I am a smart, intelligent, productive citizen who has a brain and who looks after her family. I wish people would realize this , and understand that just because I cannot have a child does not make me less of a woman . I do not need their pity , and wish they would keep it to themselves – I have enough strength to fight and win my own battles ! " Fed up of being infertile ? Need help in creating an IVF success story ? Please send me your medical details by filling in the form at www.drmalpani.com/malpaniform.htm so that I can guide you better !